Professor Katherine Gibson is internationally known for her research on rethinking economies as sites of ethical action. She trained as a human geographer with expertise in political economy and, with her collaborator for over 30 years, the late Professor Julie Graham, developed a distinctive approach to economic geography drawing on feminism, post-structuralism and action research. The diverse economies research program they initiated has become a vibrant sub-field of study within the social sciences. In the late 1990s the collective authorial voice of J.K. Gibson-Graham led the critique of capitalocentric thinking that was blocking the emergence of economic possibility. The end of capitalism (as we knew it): a feminist critique of political economy published in 1996, was republished in 2006 with a new Introduction and named a Classic in Human Geography by the leading journal Progress in Human Geography in 2011. Gibson-Graham's work on a post-capitalist economic politics has had a widespread readership among those interested in economic alternatives and has been translated into Chinese, South Korean, Turkish, Spanish and French. Prior to joining Western Sydney University in 2009 Professor Gibson held positions as Professor and Head of the Department of Human Geography in the Research School of Pacific and Asian Studies at the Australian National University (1999-2008) and Director of Women's Studies at Monash University (1992-1995). 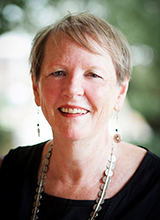 She has directed action research projects with communities interested in alternative economic development pathways in Australia, Papua New Guinea, the Solomon Islands and the Philippines. These experiences have contributed to elaboration of a distinctive 'Community Partnering Approach to Local Development' (opens in a new window). In 2008 she made a 50 minute film on social enterprise development as a local development strategy in the Philippines. Her most recent book, co-edited with Gerda Roelvink and Kevin St. Martin, is entitled Making other worlds possible: performing diverse economies (University of Minnesota Press, 2015). In 2013 she published Take back the economy: an ethical guide for transforming communities, co-authored with Jenny Cameron and Stephen Healy (University of Minnesota Press). The Community Economies Collective (opens in a new window), which Gibson-Graham established, is an ongoing collaboration between academic and community researchers and activists in Australia, North America, Europe and South East Asia. The goal of the Collective is to theorise, discuss, represent and ultimately enact new visions of economy. By making multiple forms of economic life viable options for action, the Collective aims to open the economy to ethical debate around concerns such as: the survival needs of humans and earth others; the distribution of surplus that supports wellbeing now and in the future; encountering others via just transactions; enlarging and sharing our commons; and investing in futures that sustain us all. Diverse economies: documenting diverse economies in place and reformulating economic theory, including theories of capitalist development, industrial restructuring, regional development, globalisation, the enterprise, class and subjectivity, household labour and noncapitalist economic activities, social enterprises and cooperatives. Rethinking urbanism in the light of feminist, postcolonial and queer theory; experimenting with postmodern planning practices. Alternative community and regional economic development, regional governmentality and sustainability; developing new development pathways that care for non-human and human habitats now and into the future. Gibson, K, Rose, DB & Fincher, R (eds) 2015, Manifesto for living in the Anthropocene (opens in a new window), Punctum Books, New York. Roelvink, G, St. Martin, K & Gibson-Graham, JK (eds) 2015, Making other worlds possible: performing diverse economies (opens in a new window), University of Minnesota Press, Minneapolis. Gibson-Graham, JK 2011, Una politica postcapitalista, Pontificia Universidad Javeriana, Bogata. Gibson-Graham, JK 2006, A postcapitalist politics (opens in a new window), University of Minnesota Press, Minneapolis. Gibson-Graham, JK 2006, The end of capitalism (as we knew it): a feminist critique of political economy (opens in a new window)(with new introduction), University of Minnesota Press, Minneapolis. Gibson-Graham, JK, Resnick, S & Wolff, R (eds) 2001, Re/presenting class: essays in postmodern Marxism, Duke University Press, Durham. Gibson-Graham, JK, Resnick, S & Wolff, R (eds) 2000, Class and its others, University of Minnesota Press, Minneapolis. Gibson-Graham, JK, 1996, The end of capitalism (as we knew it): a feminist critique of political economy, Blackwell, Oxford & Cambridge. Portuguese translation O fin do capitalismo (como nos o conheciamos) 1998 by Jorges Menezes, Instituto Piaget, Lisbon; Chinese translation 2001 by Dongsheng Chen, Social Science Academy Publications, Beijing; Turkish translation (Bildiðimiz) Kapitalizmin Sonu 2009 by Metis. Collins, J, Gibson, K, Alcorso, C, Castles, S & Tait, D 1995, A shopful of dreams: ethnic small business and restructuring in Australia, Pluto Press, Sydney. Watson, S & Gibson, K (eds) 1995, Postmodern cities and spaces, Blackwell, Oxford & Cambridge. Gibson, K & Watson, S (eds) 1994, Metropolis now: planning and the urban in contemporary Australia, Pluto Press, Sydney. Gibson-Graham, JK, Cameron J & Healy, S 2016, 'Commoning as postcapitalist politics', in A Amin & P Howell (eds), Releasing the commons: rethinking the futures of the commons (opens in a new window), Routledge, London, pp. 192-212. Newbury, J & Gibson, K 2016, 'Post-industrial pathways for a "single industry resource town": a community economies approach', in I Vaccaro, K Harper & S Murray (eds), The anthropology of postindustrialism: ethnographies of disconnection (opens in a new window), Routledge, London and New York, pp.183-204. Gibson-Graham, JK & Miller, E 2015, 'Economy as ecological livelihood', in K Gibson, DB Rose & R Fincher (eds), Manifesto for living in the Anthropocene (opens in a new window), Punctum Books, New York. Gibson-Graham, JK 2015, 'Reading for difference', in K Gibson, DB Rose & R Fincher (eds), Manifesto for living in the Anthropocene (opens in a new window), Punctum Books, New York. Gibson-Graham, JK, Cameron, J & Healy, S 2015, 'Pursuing happiness: the politics of surviving well together', in D Pike, C Nelson & G Ledvinka (eds), On happiness: new ideas for the twenty-first century, University of Western Australia Press, Perth. St. Martin, K, Roelvink, G & Gibson-Graham, JK 2015, 'Introduction: an economic politics for our times', in Roelvink, G, St. Martin, K & Gibson-Graham, JK (eds), Making other worlds possible: performing diverse economies (opens in a new window), University of Minnesota Press, Minneapolis. Gibson, K, Cahill, A & McKay, D 2015, 'Diverse economies, ecologies, and ethics: rethinking rural transformation in the Philippines', in Roelvink, G, St. Martin, K & Gibson-Graham, JK (eds), Making other worlds possible: performing diverse economies (opens in a new window), University of Minnesota Press, Minneapolis. Gibson, K & Graham. J 2014, 'A feminist project of belonging for the Anthropocene' in K Bradley & J Hedrén eds), Green Utopianism: Perspectives, Politics and Micro-Practices, Routledge, UK, pp. 38-56. Gibson, K, Graham, J & Roelvink, G 2013, 'Social innovation for community economies: how action research creates "other worlds"', in D MacCallum & F Moulaert (eds), The international handbook on social innovation: collective action, social learning and transdisciplinary research, Edward Elgar Publishing, Cheltenham, pp. 454-65. Gibson-Graham, JK 2012, 'Diverse economies: performative practices for "other worlds"', in TJ Barnes, J Peck & E Sheppard (eds), The Wiley-Blackwell companion to economic geography, Blackwell, Oxford, pp. 33-46. Gibson, K & Rossiter, B 2011, 'Walking and performing "the city": a Melbourne Chronicle', in G Bridge & S Watson (eds), The new Blackwell companion to the city, Wiley-Blackwell, Oxford, pp. 488-98. Gibson-Graham, JK & Roelvink, G 2010, 'An economic ethics for the anthropocene', in N Castree, P Chatterton, N Heynen, W Larner, MW Wright (eds), The point is to change it: geographies of hope and survival in an age of crisis, Wiley-Blackwell, Oxford, pp. 320-47. Gibson-Graham, JK & Cameron, J 2010, 'Community enterprises: imagining and enacting alternatives to capitalism', in P Healey & J Hillier (eds), The Ashgate research companion to planning theory: conceptual challenges for spatial planning (opens in a new window), Ashgate, Farnham, pp. 198-291. Gibson-Graham, JK 2010, 'Forging post-development partnerships: possibilities for local development', in A Pike, A Rodriguez-Pose & J Tomaney (eds), Handbook of local and regional development (opens in a new window), Routledge, London, pp. 226-36. Gibson-Graham, JK & Roelvink, G 2009, 'Social innovation for community economies', in D MacCallum, F Moulaert, J Hillier & SV Haddock (eds), Social innovation and territorial development (opens in a new window), Ashgate, Farnham, pp. 25-38. Community Economies Collective & Gibson, K 2009, 'Building community-based social enterprises in the Philippines: diverse development pathways', in A Amin (ed. ), The social economy: international perspectives on economic solidarity, Zed Books, London, pp. 34-41. Gibson-Graham, JK 2009, 'Economic imaginaries', in Browne, S (ed. ), Irish Pavilion Catalogue, 53rd International Art Biennale, The Dock, Venice. Gibson, K & Graham, J 2007, 'Cultivating subjects for a community economy in politics and practice', in T Barnes, J Peck, E Sheppard & A Tickell (eds), Politics and practice in economic geography (opens in a new window), Sage, London, pp. 106-18. Gibson, K & Graham, J 2005, 'Building community economies: women and the politics of place', in W Harcourt & A Escobar (eds), Women and the politics of place, Kumarian Press, Bloomfield, pp. 130-57. Gibson, K & Cameron, J 2005, 'Building community economies in marginalised areas', in P Smyth, T Reddel & A Jones (eds), Community and local governance in Australia, UNSW Press, Kensington, pp. 172-91. Gibson, K & Graham, J 2004, 'Economy', in T Bennett, L Grossberg & M Morris (eds), New keywords: a revised vocabulary of culture and society, Wiley, Oxford, pp. 94-97. Gibson, K & Graham, J 2004, 'The economy, stupid!' in T Barnes, J Peck, A Tickell & E Sheppard (eds), Reading Economic Geography, Wiley, Oxford, pp. 72-87. Healy, S, McNeill, J, Cameron, J & Gibson K 2018, 'Pre-empting Apocalypse? Postcapitalism as an everyday politics', Australian Quarterly (opens in a new window), vol. 89, no. 2, pp. 28-33. Mathie, A, Cameron, J & Gibson K 2017, 'Asset-based and citizen-led development: using a diffracted power lens to analyse the possibilities and challenges' (opens in a new window), Progress in Development Studies, vol. 17, no. 1, pp. 54-66. Gibson-Graham, JK 2016, '"After" area studies? Place-based knowledge for our time', Environment and Planning D: Society and Space, DOI: 10.1177/0263775816656523. Gibson-Graham, JK, Hill, A & Law, L 2016, 'Re-embedding economies in ecologies: resilience building in more than human communities', Building Research & Information, DOI: 10.1080/09613218.2016.1213059, pp. 1-14. McKinnon, K, Carnegie, M, Gibson, K, & Rowland, C 2016, 'Gender equality and economic empowerment in the Solomon Islands and Fiji: a place-based approach', Gender, Place and Culture, vol. 23, no. 10, pp. 1376-1391. DOI: 10.1080/0966369X.2016.1160036. Gibson-Graham, JK 2015, 'Ethical economic and ecological engagements in real(ity) time: experiments with living differently in the Anthropocene', Conjunctions: Transdisciplinary Journal of Cultural Participation, vol. 2, no. 1, pp. 46-71. Gibson-Graham, JK, Cameron, J & Healy, S 2014, 'Author's response in the Book Symposium on Take back the economy: an ethical guide for transforming our communities by JK Gibson-Graham, Jenny Cameron and Stephen Healy', Sociology, vol. 48, no. 5, pp. 1061-1062. Gibson-Graham, JK, Cameron, J & Healy, S 2014, 'Author's response in the Book Symposium on Take back the economy: an ethical guide for transforming our communities by JK Gibson-Graham, Jenny Cameron and Stephen Healy', Social and Cultural Geography, vol. 15, no. 8, pp. 985-986. Cameron, J, Gibson, K & Hill, A 2014, 'Cultivating hybrid collectives: research methods for enacting community food economies in Australia and the Philippines', Local Environment: The International Journal of Justice and Sustainability, vol 19, no 1, pp 118-132. Gibson, K & Graham, J 2014, 'Being the revolution, or, how to live in a "more-than-capitalist" world threatened with extinction', Rethinking Marxism: A Journal of Economics, Culture & Society, vol. 26, no. 1, pp. 76-94. Gibson, K 2014, 'Thinking around what a radical geography "must be"', Dialogues in Human Geography, vol' 4, no' 3, pp' 283-287. Gibson, K & Graham, J 2014, 'Rethinking the economy with thick description and weak theory', Current Anthropology, vol. 55, no suppl. 9, pp. S147-S153. Gibson, K 2012, 'Economic diversity as a performative ontological project', RCC Perspectives, no. 9, pp 17-20. Gibson-Graham, JK 2011, 'A feminist project of belonging for the anthropocene [Un proyecto feminista de pertenencia para el antropoceno]', Gender, Place and Culture, vol. 18, no. 1, pp. 1-21. Gibson-Graham, JK & Roelvink, G 2011, 'The nitty gritty of creating alternative economies', Social Alternatives, vol. 30, no. 1, pp. 29-33. Gibson, K, Cahill, A & Mckay, D 2010, 'Rethinking the dynamics of rural transformation: performing different development pathways in a Philippines municipality', Transactions of the Institute of British Geographers, vol. 35, no.2, pp. 237-55. Lee, R, Leyshon, A & Gibson-Graham, JK 2010, 'Gibson-Graham, JK 1996: the end of capitalism (as we knew it): a feminist critique of political economy. Oxford: Blackwell', Progress in Human Geography, vol. 34, no. 1, pp. 117-27. Roelvink, G & Gibson-Graham, JK 2009, 'A postcapitalist politics of dwelling', Australian Humanities Review, no. 46. Gibson-Graham, JK & Roelvink, G 2009, 'An economic ethics for the anthropocene', Antipode, vol. 41, no. s1, pp. 320-46. Gibson-Graham, JK 2009, 'Other economies are already here! Response to commentaries on A Postcapitalist Politics', Emotion, Space and Society, vol. 1, no. 2, pp. 155-58. Gibson-Graham, JK 2008, 'Remarx: "Place-based globalism": a new imaginary of revolution', Rethinking Marxism, vol. 20, no. 4, pp. 659-64. Gibson-Graham, JK 2008, 'Diverse economies: performative practices for "other worlds"', Progress in Human Geography, vol. 32, no. 5, pp. 613-32. Pretes, M & Gibson, K 2008, 'Openings in the body of "capitalism": capital flows and diverse economic possibilities in Kiribati', Asia Pacific Viewpoint, vol. 49, no. 3, pp. 381-91. Mckinnon, K, Gibson, K & Malam, L 2008, 'Critical and hopeful area studies: emerging work in Asia and the Pacific: introduction to a special issue on critical geographies of the Asia-Pacific', Asia Pacific Viewpoint, vol. 49, no. 3, pp. 273-80. Gibson-Graham, JK & Cameron, J. 2007, 'Community enterprises: Imagining and enacting alternatives to capitalism', Social Alternatives, vol. 26, no. 1, pp. 20-25. Gibson-Graham, JK 2006, 'Imagining and enacting a post-capitalist feminist economic politics: a response to Hester Eisenstein', Women's Studies Quarterly, vol. 34, no. 1&2, pp. 72-78. Gibson, K & Graham, J 2006, '"Mekan tabanli küresellesme": Devrim için yeni bir tahayyul" [translated by Hande Kesgin: "Place-based globalism: A new imaginary of revolution"], Birikim: Aylik Sosyalist Kültür Dergisi, vol. 205&506, pp. 52-55. Gibson, K & Graham, J 2005, 'Traversing the fantasy of sufficiency: a response to Aguilar, Kelly, Laurie and Lawson', Singapore Journal of Tropical Geography, vol. 26, no. 2, pp. 119-26. Gibson, K & Cameron, J 2005, 'Alternative pathways to community and economic development: the Latrobe Valley community partnering project', Geographical Research, vol. 43, no. 3, pp. 274-85. Gibson, K & Cameron, J 2005, 'Participatory action research in a poststructuralist frame', Geoforum, vol. 36, pp. 315-31. Gibson, K & Graham, J 2005, 'Dilemmas of theorizing class', Rethinking Marxism, vol. 17, no. 1, pp. 39-44. Gibson, K & Graham, J 2005, 'Surplus possibilities: postdevelopment and community economies', Singapore Journal of Tropical Geography, vol. 26, no. 1, pp. 4-26. Gibson, K & Graham, J 2004, 'The violence of development: two political imaginaries', Development: Journal of the Society for International Development, vol. 47, no. 1, pp. 27-34. Gibson, K & Graham, J 2004, 'Area studies after post-structuralism', Environment and Planning A, vol. 36, no. 3, pp. 405-19. Gibson, K, Graham, J & Cameron, J 2003, Feminising the economy: metaphors, strategies, politics', Gender, Place and Culture, vol. 10, no. 2, pp. 145-57. Gibson, K & Graham, J 2003, 'Intervenciones posestructurales' [Poststructural Interventions], Revista Colombiana de Antropologia, vol. 38, pp. 261-86. Gibson, K & Graham, J 2003, 'Enabling ethical economies: cooperativism and class', Critical Sociology, vol. 29, no. 2, pp. 123-61. Gibson, K & Graham, J 2003, 'The impatience of familiarity: a comment on Michael Watts' "Development and Governmentality"', Singapore Journal of Tropical Geography, vol. 24, no. 1, pp. 35-37. Gibson, K 2003, 'Rethinking Marxism in Australia: reflections on the "hills hoist road to socialism"', Journal of Australian Political Economy, vol. 50, pp. 146-52. Gibson, K & Graham, J 2003, 'An ethics of the local', Rethinking Marxism, vol. 15, no. 1, pp. 49-74. Gibson-Graham, JK, Cameron, J, Dombroski, K, Healy, S & Miller, E on behalf of the Community Economies Collective 2017, Cultivating community: economies: tools for building a liveable world (opens in a new window), The Next System Project. Mellick Lopes, A, Gibson, K, Crabtree, L & Armstrong, H 2016, Cooling the commons (opens in a new window), Institute for Culture and Society, Western Sydney University. Cameron, J, Gibson, K & Healy, S 2015, 'After capitalism, what comes next? For a start, ethics' (opens in a new window), The Conversation. Gibson, K, Cameron, J & Healy, S 2015, 'Pursuing happiness: it's mostly a matter of surviving well together' (opens in a new window), The Conversation. Gibson, K. with Hill, A & Maclay, P, 2009, 'Building social enterprises: strategies for local development in the Philippines', a 50 minute DVD, Human Geography, Research School of Pacific and Asian Studies, The Australian National University. Gibson-Graham, JK 2008, 'Diverse economies online bibliography', Progress in Human Geography, vol. 32, no. 5, pp. 613-32. Gibson-Graham, JK 2010, 'Community partnering for local development', an interactive CD-Rom, Department of Human Geography, Research School of Pacific and Asian Studies, The Australian National University, Canberra. Cameron, J & Gibson, K 2001, 'Shifting focus: pathways to community and economic development: a resource kit', Monash University and the Latrobe City, Melbourne. Professor Deborah Rose interviews Professor Katherine Gibson about her new collaborative book, Take Back the Economy: An Ethical Guide for Transforming Our Communities (double click for full screen).